Along with a group of other organisations in Doncaster Aspire opened up a pop-up hub to help the homeless and rough sleepers. The initiative for the event, by the Complex Lives Alliance led by Aspire Service Manager Stuart Green, is helping those less fortunate in the borough to try and turn their lives around. Some of the organisations in the Alliance have been working together for the past 18 months. 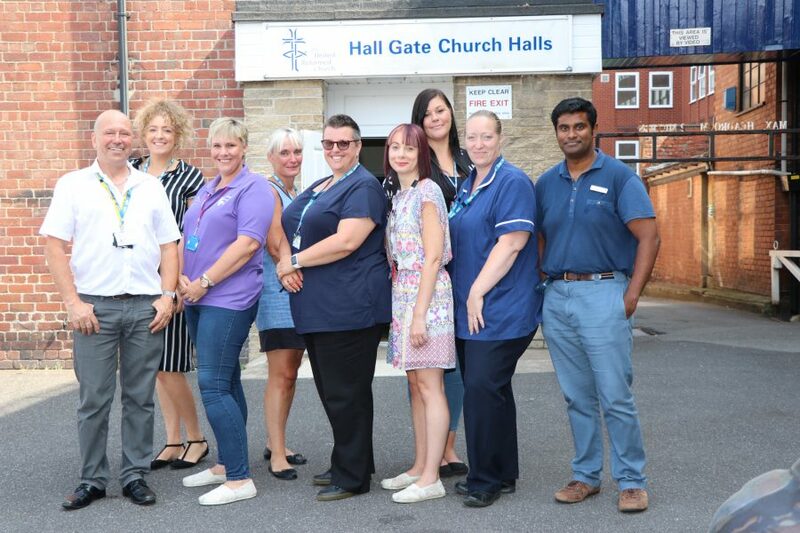 The hub was open from 9.30am to 2pm on Thursday 19 July, at the Hallgate United Reform Church and saw 18 people attend and receive support and advice from experts including financial assistance, housing support, wound care and help to tackle addiction and mental health issues. Each person received a bespoke assessment of their general health by a GP and received medical and wound care treatment if needed . Those who attended were also offered advice and support on benefits, offered hot showers, fresh clothes and a drink and biscuits. Cllr Nigel Ball, Cabinet Member for Public Health, said: “The hub was an opportunity for all the services that make up the Complex Lives Alliance to once again engage and offer support to those who find themselves homeless, rough sleeping or begging. The Hub was a partnership working arrangement between Aspire Drug and Alcohol Service which is run by Rotherham Doncaster and South Humber NHS Foundation Trust (RDaSH) and registered charity The Alcohol & Drug Service – Doncaster Council, South Yorkshire Police, the Job Centre, GPs, Riverside Care & Support Domestic Abuse Service, community nurses and the Hallgate United Reform Church.